Are you experiencing TMJ pain? Does your jaw hurt when you chew or open your mouth wide? Do you have pain or soreness in front of the ear, in the jaw muscle, cheek, the teeth or the temples? Do you clench or grind your teeth? Do your jaws click or make noises loud enough to bother you or others? Do you find it difficult to open your mouth wide? Does your jaw ever get stuck/locked as you open it? 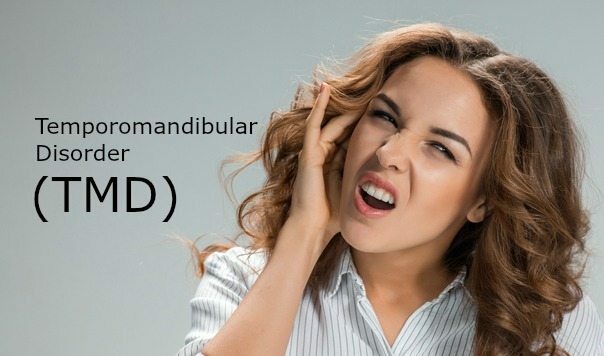 If so, you likely have temporomandibular joint disorder (TMD or TMJD), which is commonly referred to as TMJ. TMJD is a group of conditions, often painful, that affect the jaw joint. According to the National Institute of Dental and Craniofacial Research, the most common cause of facial pain is TMJ Disorder (temporomandibular joint and muscle disorder). Symptoms of TMJ disorder may include jaw pain, clicking or popping in the jaw, headaches, and ear pain. Chiropractic treatment of TMJ Disorder has been shown to alleviate symptoms by correcting misalignments in the spine and re-positioning the jaw. Therapeutic exercises and improving posture also help to improve tracking and movement. We also utilize the massage and low-level laser therapy to improve healing in the inflammed tissues. For most people, pain or discomfort in the jaw muscles or joints is temporary, often occurs in cycles, and resolves once you stop moving the area. Some people with TMJ pain, however, can develop chronic symptoms. We can help you establish whether your pain is due to TMD and can provide conservative treatment if needed. Injury to the jaw is a leading cause of TMJ Disorder. For example, anything from a hit in the jaw during a sporting activity to overuse syndromes, such as chewing gum excessively or chewing on one side of the mouth too frequently, may cause TMJ Disorder. Braces may also cause TMJ Disorder. The head, neck, and jaw work together to coordinate movements. That means, for some people, the stress on the jaw muscles from wearing braces can create misalignment and joint dysfunction which can cause TMJ Disorder. Using Activator-assisted chiropractic adjustments we can help improve temporomandibular joint dysfunction and misalignments of the jaw taking the undue strain off the TM joint. To help diagnose or rule out TMJ Disorder, we may ask you to open and close your mouth while we assess the alignment and movement of your jaw. We will carefully assess your posture in the head and neck as well as the muscles surrounding the jaw and neck and we will look for signs of inflammation and other abnormalities. If you have TMJ Disorder, we may recommend Activator-assisted chiropractic adjustments. There have been multiple studies that indicate chiropractic treatment using the Activator Method may be beneficial for TMJ Disorder. We may also recommend massage therapy, applying heat/ice, laser therapy, special exercises and/or nutritional interventions. Our first goal is to relieve your pain and then we work to restore function to the jaw, and neck in order to prevent your symptoms from returning. If you need special appliances or splints we will work closely with your dentist or orthodontist for co-management. If you suffer from TMJ pain, please contact our office in Hartville so we can help you find lasting relief!